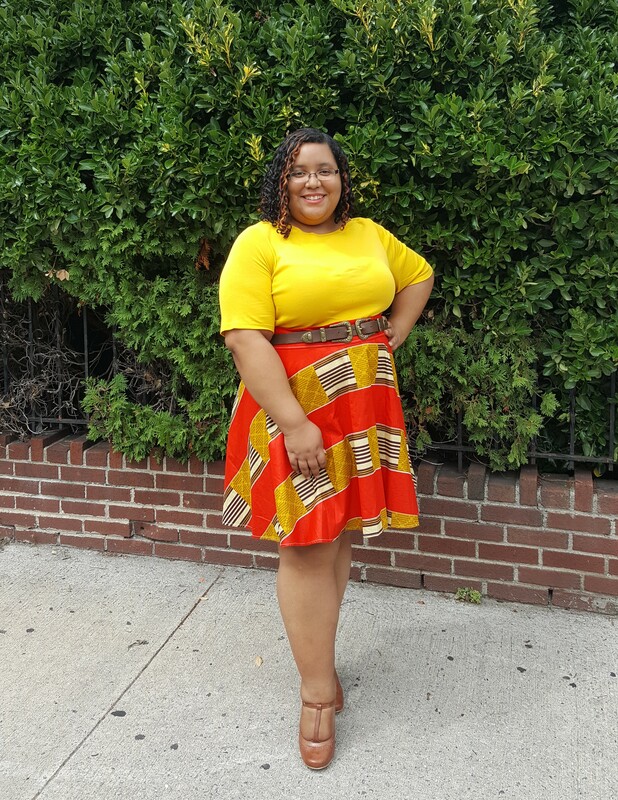 I paired the skirt with this mustard quarter-sleeve top that I’ve had in my closet for a while now. 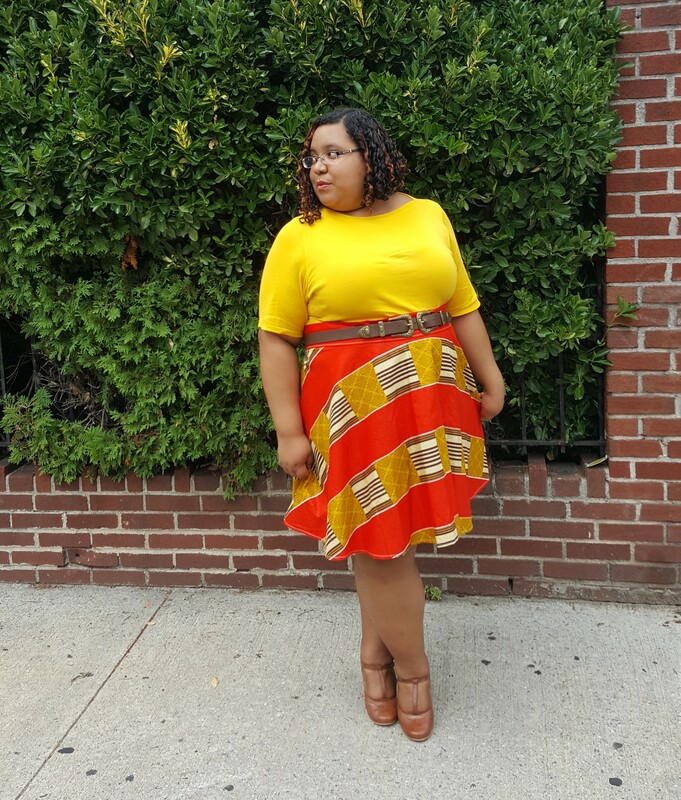 I had originally bought it two years ago for another skirt that I ended up giving to my mother since I couldn’t find a way to style it that I actually liked. It matched the small bright yellow details and really made the whole look truly pop. I added more brown details with my double-buckle belt and t-strap oxford wedges. 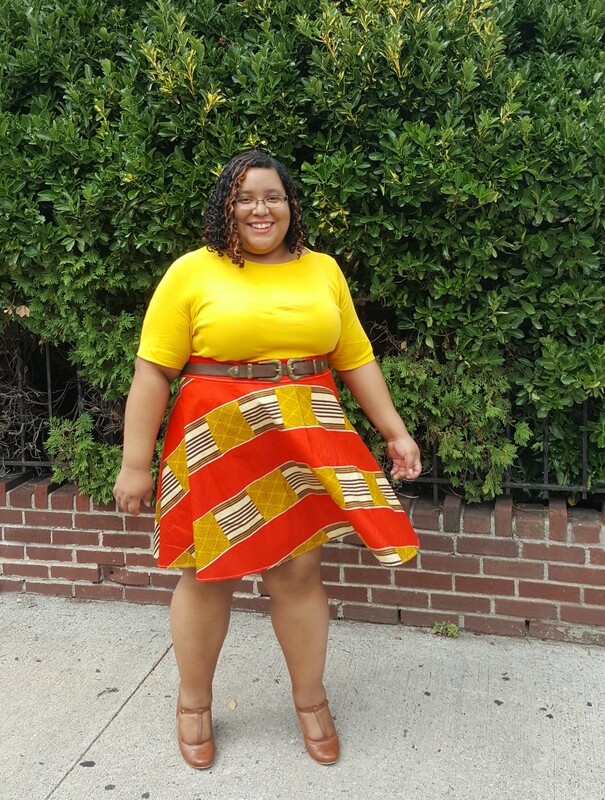 The color combination of yellow, red and brown may lean a bit prematurely to fall (a season that I’m really looking forward to), yet the intensity of the bright hues make this for a very dressy and playful summer look. Are there any colors or styles you stay away from? Have you considered giving them a try? 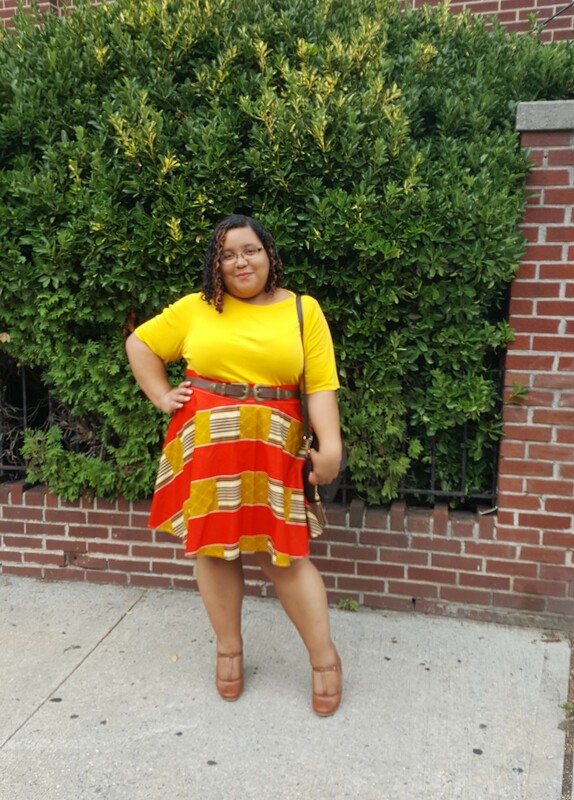 *Style notes: Due to my petite height this mini skirt fits me more like a skater skirt. 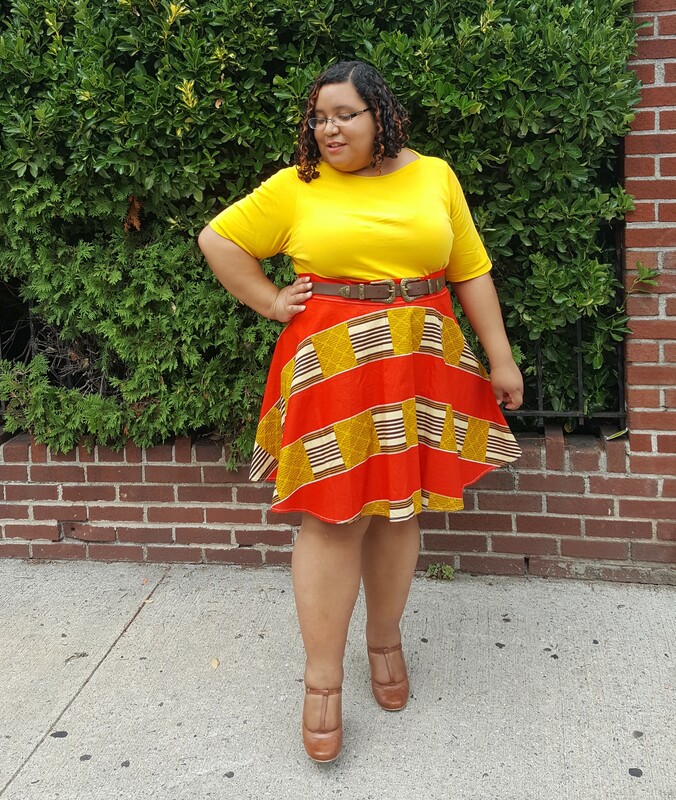 **I got the skirt in this size as it was the only one available in this print. It is actually a bit too big to the point that it does twist around but the belt manages to hold it in place.